Fitness Coffee® is an innovative patented product manufactured by GVM I.E. (Italy).Patent N. 0001361629. Fitness Coffee is an all natural 100% made in Italy product designed to replenish the body with powerful antioxidants and nutrients without changing your passion for coffee. All our blends contain only premium quality roasted coffee, selected officinal herbs and aromatic spices that can contribute to your genaral wellbeing. 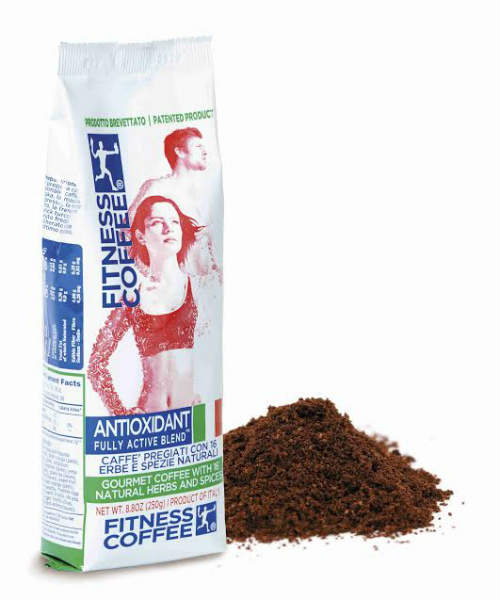 Fitness Coffee is 100% vegetal product entirely made in Italy. All the ingredients are safe according to the actual suggestions, laws and rules of the Health Minister and of EU Community. All products are sourced from certified Italian suppliers that guarantee freshness and nutritional value of each product. Fitness Coffee is proud to be 100% natural and it DOES NOT contain: Genetically Modified Organisms (GMO), artificial flavors, preservatives, sugar.